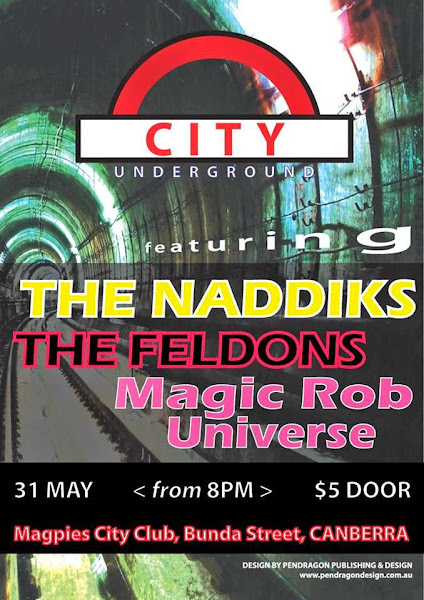 Magic Rob Universe, The Feldons and The Naddiks are venturing into the Magpies City Club (City Underground) in Civic for the first time to see if we can vibe the place with some magical-retro-punk puree. Come join us from 8pm. Let’s see if this venue is a keeper….. The kickoff event is 31 May. I love my music live and loud this is an awesome venue bands. most friday and saturday nights crank till about 1 am. 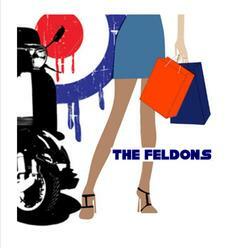 And of course, you can also see the Feldons this Saturday at the Old Canberra Inn along with Ultraviolet, The Gaps and Gravelrash. Went to a punk gig there only last month! There are up to 20 punk bands playing there midday to midnight on Saturday the 25th of May.